Comprises an ohmic component and frequency-dependent inductive and capacitive components. At the moment when current is applied, the cable geometry and the materials used are critical influences on the generated current flow; at this point the situation at the end of the cable is not yet relevant. Characteristic impedance only applies to the outgoing wave, not the returning energy. The process takes place within nanoseconds. Standard values are 75, 100, 110 Ohm. 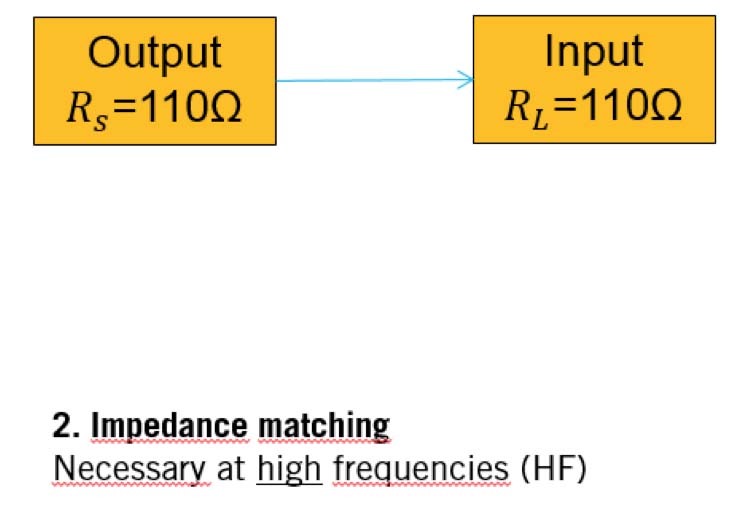 It is important that the impedance of the cable and the input/output impedance of the devices connected to it correspond. 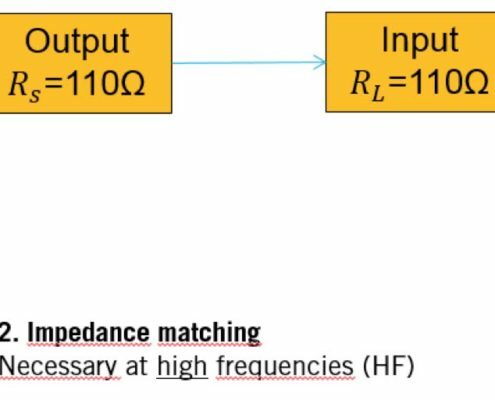 Characteristic impedance is approximately calculated from the square root of the ratio of inductance to capacitance.